We are here embracing you with our gratitude and deep respect for your willingness once again to be the change agent of your reality. We acknowledge the intensity of your interface with this dimension and the dense vibrations and frequencies that you continually encounter. Humanity is in the midst of an unprecedented transmutation. 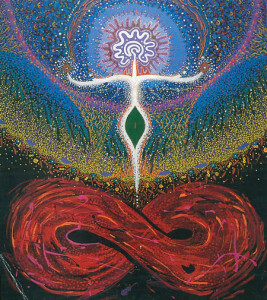 This shift, this evolution, this ascension into the higher dimensions has been gradually occurring for decades. Many individuals are totally unaware that this is taking place. They continue to sleep, embraced in the dense frequencies of mass consciousness. However, there are energy frequencies and vibrations being offered by the zero point galactic center that are rapidly increasing and stimulating the electromagnetic field and energy of your planet as well as every human. These new powerful vibrations are activating your dormant multidimensional awareness and understanding. Your very DNA is undergoing a recalibration. Dormant abilities are being quickened and the misqualified programs or patterns in your system are gently being eliminated. This is the process of evolution and ascension. You are being triggered to accept and join your rightful place as the star seed being that you are. Consider yourself as a true galactic citizen, here playing and anchoring this collective awakening and transmutation in the quantum field. This 3D reality in which you are focused is only one small aspect of the many divine dimensional realities available. However, we know and observe your dedicated focus to what you are experiencing in your daily life with your family, your job, the pleasures and challenges of being in dense physical form. But remember, you are a star seed here in this dense third and fourth dimension reality to anchor divine consciousness. In this reality of polarities and free will, the manner in which a transformation can take place requires a star being to fully embody and experience the very dense dysfunctional energies as their own. Once these experiences have been felt, endured, observed and anchored in your personal electromagnetic mental and emotional field, they are yours to transform and uplift. Remember you are an alchemist, here to transform and uplift dense dysfunctional energies. The profound galactic vibrations being offered are activating and triggering your true understanding of this assignment. We are not invalidating your personal physical experience; we are here to remind you that your purpose is much bigger than you are allowing yourself to accept. This is a dysfunctional planet; there has been a misuse of the divine creative ability of the star beings who came here to anchor the galactic heritage. When you observe all the incredible life forms that are manifest here on your planet, ask yourself where did the blueprint for such an awesome variety of unique life forms come from? These life forms were seeded from your galaxy into the quantum field of this dimension. You are becoming aware that you are the true seneschal of all living beings. You are the seneschal of the galactic heritage. Your expanded consciousness truly is shifting the misqualified creations in your quantum field. You are waking up and as an awakened multidimensional star being of divine consciousness you carry the ability as well as the mastery to shift what is a determent to life. These new powerful vibrations that are expanding and recalibrating your dormant DNA are expanding your divine consciousness. The expanded consciousness of humanity begins to offer the keys, the solutions, the methods and the inspirations to clear your air, clean your water, take care of the other living sentient beings and restore your planet to the true garden of galactic seeded heritage. We are observing that this is slowly taking place at this very moment. You can observe this as well. We invite you focus on what is occurring that is truly making a difference, the positive life sustaining changes that are coming about. Remember you are entangled with all other living beings. What you hold as a vision, what you anchor, what personal limitation or dysfunction you willingly transform, truly ripples out to the entire field. Begin to welcome and allow yourself willingly to incorporate these frequencies and vibrations that are bathing humanity. Invite them; spend personal time in practices that enhance your physical, emotional, mental and enteric energy fields that contribute to your own magnificent and unique energy signature. Step into your personal knowing and power that you are truly making a difference. Own it. Spend dedicated time envisioning a new reality for your planet. Spend time with other like-minded awake individuals envisioning together. Find many reasons each moment to be in your joy, your gratitude and appreciation. Amplify these frequencies, these thoughts and emotions. Remember to state each morning upon arising from your slumber, I am fully embodied, I am anchored to the electromagnetic and geomagnetic field of this planet, I am connected to my divine source. This statement is extremely elegant in its simplicity. 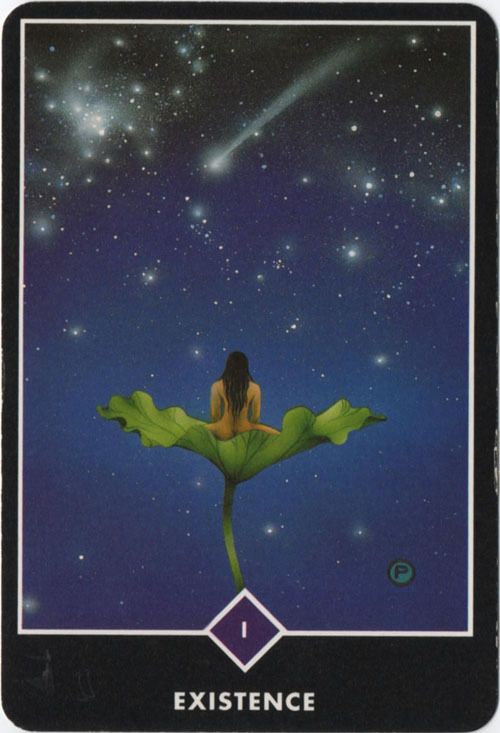 This intention honors both your physical and your star seed divine self, forming a conscious partnership and then anchoring that partnership to the energy of your planet, while acknowledging that you are always connected to divine conscious source. Understand that this is the form of the trinity. You will become aware at some point that it is your multidimensional divine consciousness looking out your physical eyes. You will see this reality from that perspective. You will begin to notice that you are easily shifting from one dimension to another. You will be open and receptive to divine inspiration and ideas for solutions to uplift and transform what is occurring on your planet. This is the cutting edge of transmutation. You are the change agent, you are the alchemist. Be gentle with yourself and others. Honor your physical body; realize as you anchor these shifts and changes in your cells and DNA that you will often feel discomfort in various forms. Relax into the discomfort or disturbing manifestations of these changes. Resistance often intensifies these physical sensations. Be connected with your body, use energy tools to release any resistance or discomfort. In your imagination envision and create an alchemist healing chamber, sense yourself reclining in the beautiful space before you fall asleep or when you are in some form of physical discomfort. Call upon divine healing energy and non-physical beings of love and light to assist you in integrating the new frequencies. We celebrate what is occurring in the entanglement of humanity. We honor and celebrate your own transformation, expansion and awareness as a member of the star seed family. We join you in the service and dedication of uplifting dysfunctional and misqualified energies and anchoring the new life sustaining galactic blueprint. 1 Response to "Message from the ‘Team’ (via Peggy Black)"
Aho metakuyasi!! Thank you very much!! How important and sacred is remembering this while we are living this transition, while we are living the resistance of our matter some times we don’t remember the divine assistance we have and all the beings all over the world that are together in this process. I offer you mi gratitude and pray for the light and the love you spread with your message. May your message reach all the dimensiones and the four corners of the world!